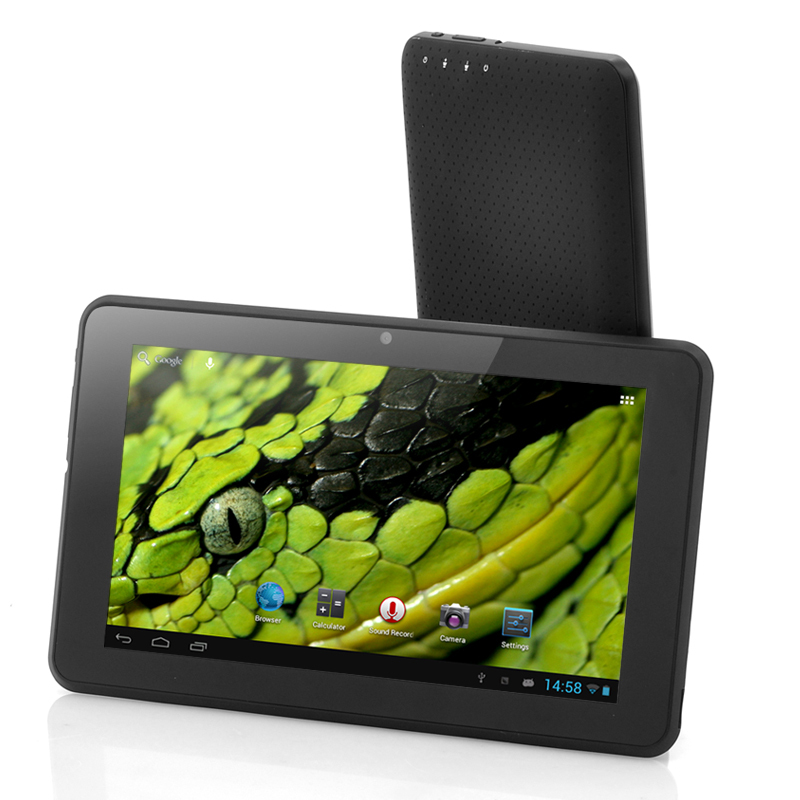 Successfully Added Android 4.1 Tablet "Python" - 7 Inch Screen, 1.5GHz Dual Core CPU, 1GB RAM, 8GB Memory to your Shopping Cart. 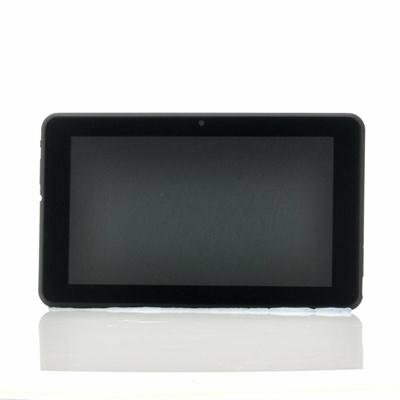 7 Inch Android 4.1 Tablet PC with a powerful Dual Core 1.5GHz CPU, 1GB of RAM and 8GB of internal Flash memory expandable to 32GB using a Micro SD Card. The “Python” offers the latest in both software and hardware at an extreme low wholesale price! Rocking Android’s latest operating system, Android 4.1 Jelly Bean, the “Python” will bring you a whole new world of entertainment, multimedia, music, videos, games and much more! Enjoy the wealth of the Google Play store, which offers more than 700.000 free and paid apps, surf the web at full speed on to the improved web browser and run the most demanding apps with easy thanks to 1.5GHz Dual Core CPU and 1GB RAM. All of this power easily fits in your pocket or backpack and can be taken anywhere for instant entertainment. Download the latest apps and games directly onto the “Python’s” 8GB of internal memory and enjoy up to an extra 32GB by inserting a micro SD card. What’s even better, you’ll be able to directly connect the “Python” Android tablet to your TV through HDMI, giving you the possibility to show pictures or videos to the whole family or just game directly on your TV. This 7 Inch Android 4.1 Tablet is a must have for any gadget lover and best of all; it’s brought to you at a factory-direct price that can't be matched. Available in our warehouse now, the “Python” Android 4.1 Tablet is ready for immediate shipment to you or your customer. Brought to you by Chinavasion, the leader in wholesale android tablets and consumer electronics. ...I am very pleased with this cheap but powerful, fast, good quality materials. I didn't expect that the screen has so big viewing angle! its so friendly to use that even my 4 years old child uses it. its a pity that run out of stock but I am aure that you'll replace it with another "piece of technology"! My only complain was with the delivery, it took 20+ days. GREEK POST OFFICE was responsible for the delay. First up I have to congratulate Chinavasion on their speedy delivery. Think it arrived in under a week. Everything was tidily boxed up and the tablet came fully charged. I've had it a few days now and am generally very pleased with it. In terms of power it is great and can easily handly processor intensive games like pyramid rising (which my samsung galaxy s3 couldn't), the screen looks good, I've played high def mkv vids on it and they look superb. My only niggles are that the screen is sometimes not as responsive as you might like, the speakers aren't very good - there is a noticeable difference if you plug in an external speaker; and I've had a few random restarts when opening apps. But really for the price this is an amazing piece of kit. It feels good and well made in your hand as well. It suits my purposes perfectly. Recommended. on 2013-05-15 16:08:34 Very good product for this price range. Very fast, well designed tabled, very good for kids. Bad points: screen resolution need an improvement.